Preheat oven to 325 degree. Line 1 (12 cup) muffin pan with paper liners. Spray liners with nonstick cooking spray. In a small bowl, stir together cracker crumbs and melted butter. Spoon cracker mixture evenly into bottom of liners, pressing to form crust. In a large bowl, place cream cheeses, ½ cup sour cream, blue cheese, and flour. Beat at medium speed with an electric mixer until blended. Add eggs, one at a time beating just until yellow disappears after each addition. Spoon cream cheese mixture over cracker mixture, filling paper liners completely full. Bake for 40 minutes, or until set. Let cool in pan on a wire rack for 15 minutes. Remove from pan to wire rack, and let cool completely (about 15 minutes). Cover and chill for 2 hours. 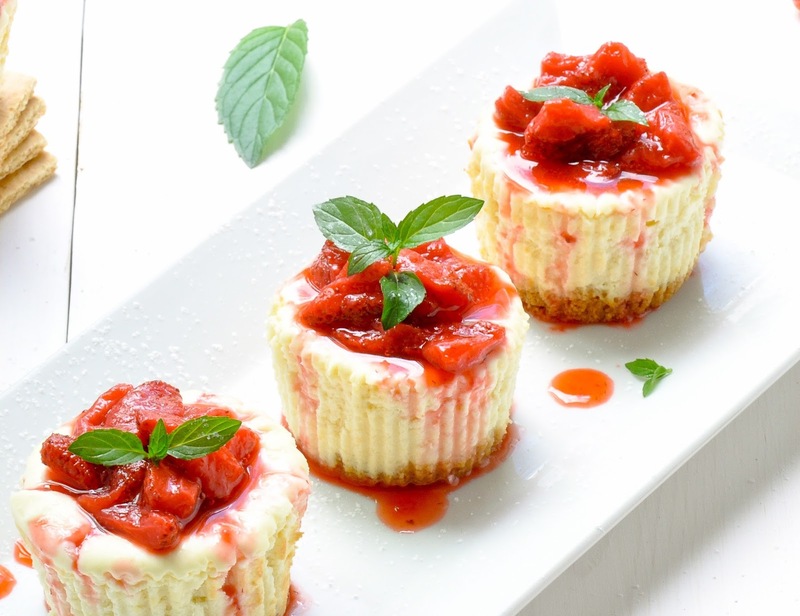 Freeze for 30 minutes, or until paper liners can easily be removed from cheesecakes. Removes and discard paper liners.